Have the kids’ locks gone feral over the summer months? Whether it’s daycare, preschool or big kid school, new supplies and duds and back to school haircuts are a ritual worth establishing (or keeping). Here are a few great spots to get those messy mops cropped before the big day! 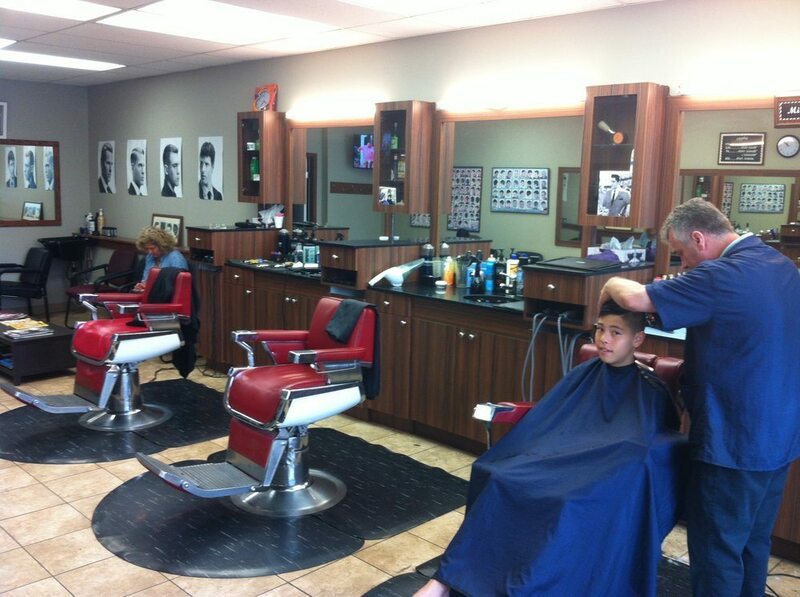 This quaint, calm and cosy West Van fave located on Ambleside specializes in kids cuts. A customer review said, “There is a calm energy to this shop which I crave since trying other chaotic and over-stimulating kids salons.” It’s also eco-friendly and a member of Green Circle Salons. This kid-centred salon caters to customers of all ages, offering video games for their older kids as well as the traditional car chairs and videos. They also host Glamour Girl birthday parties. This old school barber shop has nearly 50 years under its belt (or should we say razor?). Now in the capable hands of son Miri, this shop gets raves from clients. Candy for the kids and cuts are only $14 a pop. VM reader Katharine Todd Millar takes both of her boys here. Old school barbering techniques meets modern shop design. Kids can relax in their comfortable and super cool chairs while they get a trim. Kids cuts are a steal at only $13. A VM reader favourite, this long-standing salon for kids offers higher end kids haircuts, as well as ear piercing and princess spa services, and makeovers. Kids can sit in a train or a car, and watch videos while the stylist works. In a VM poll, Melonhead was the top pick from friends on Twitter and Facebook. They offer the classic kids haircut experience, where kids can sit in a train or a pony and watch videos while the stylists work quickly. They focus exclusively on kids haircuts, so you know that your stylist is used to working with squirmy three-year-olds. Great choice if you live in the burbs. Colourful salons featuring unique chairs and loveable cartoon characters, watch a video while the stylist works. Specially trained stylists to cut children’s hair, even as young as baby’s first haircut. Located at Lonsdale Quay, Lansdowne Mall, Willowbrook Mall and Coquitlam Centre. Port Moody’s go-to kids and family hair salon. Bring in the kids for own kid-friendly trim in a funky digger or colourful chair. You can also get your own hair styled while the kids play or watch a movie. Kids can rock out at the super cool original rock n’ roll 50s style hair shop. Billed as quality hair service with a fun and retro edge. Many prefer to take the kids to their own salon. If you’ve been going for years and trust your stylist with your life, why not bring the kids with you and make it a family affair. Some kids are terrified of having their haircut by a stranger, and some parents just don’t trust anyone, so enter the bowl and sheers (kidding). Upsides: Cutting your children’s hair is inexpensive, the kids can watch a movie while you cut, it saves money and if you really botch it, you can head to the experts. Did we miss your favourite? Please let us know in the comments. Chop Shop in Cloverdale has done my son’s hair since his first cut. Rohan is awesome!! Definitely a shop I recommend.